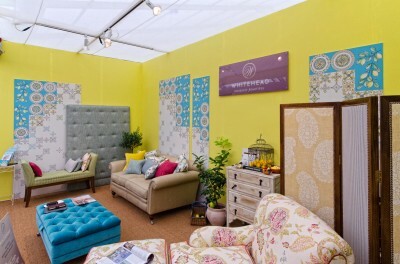 at Stand E16, Perks Field, Kensington Gardens. 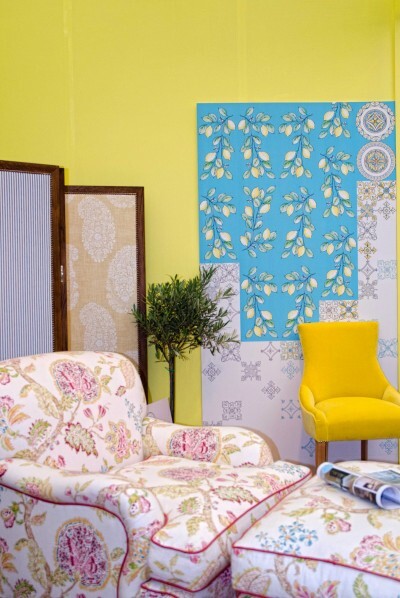 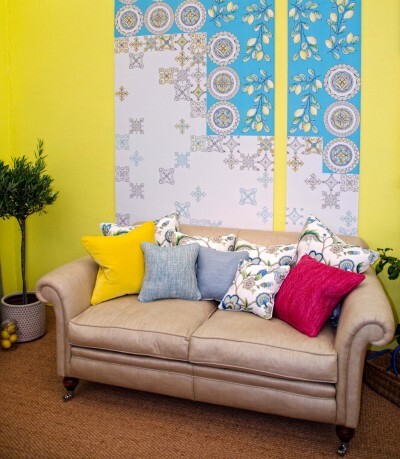 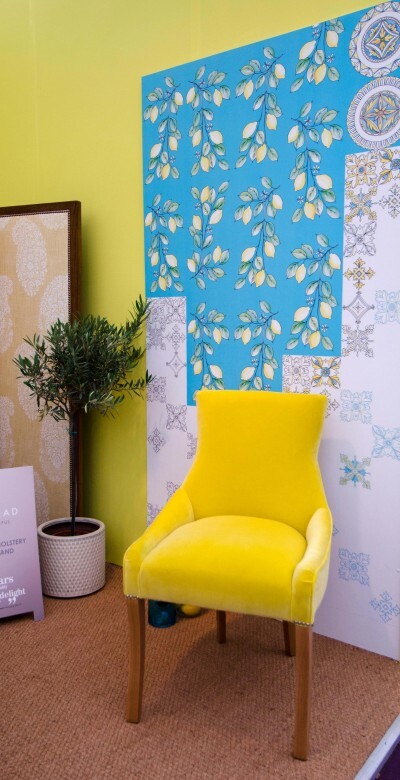 The set of wall panels created a colourful backdrop for Whitehead Designs bespoke furniture display which had a distinctive Mediterranean feel with it’s eclectic mix of fabrics (www.whiteheaddesigns.com). 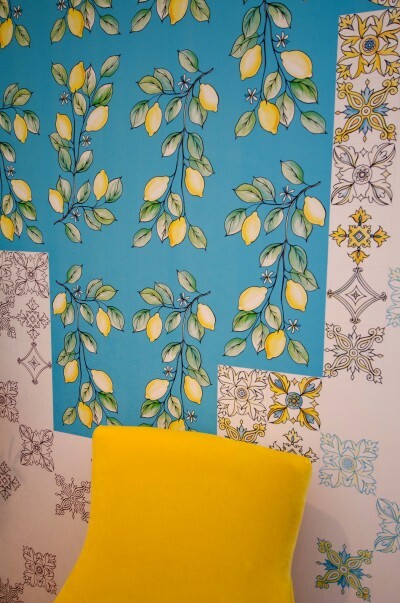 Wallpaper featured a playful irregular motif of lemons, plates and tiles running through the set of 5 panels. ← The Amalfi Wallpaper Collection: many looks of Amalfi.